You’ve Got A Property In Mind… Now What? 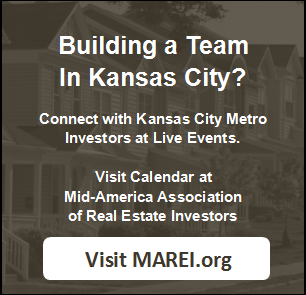 If you are looking for a real estate deal to acquire for cash and now you’re wondering how to formulate the offer, you’ll love these 3 strategies that many investors use daily to acquire deals in Kansas City. Be aware that they may take some practice… and they won’t work for every seller you meet so test them out a few times to perfect your ability to use them. Once you perfect them, you can use this as a system over and over to quickly and easily make offers. The first way to formulate an offer for a house when buying with cash in Kansas City is to find out what the market price is for the property and then subtract a percentage. You can get the market price by “pulling comps” (finding out what similar properties have sold for recently in the area). You can sometimes get this information yourself but if you partner with a real estate agent they can do it for you. Comps will tell you how much other similar properties have sold for recently and then you can subtract a percentage to formulate your offer. For example, you can offer market price less 20%. So a $100,000 comp would mean that you’d offer $80,000 for the property. The second way to formulate an offer for a house when paying cash in Kansas City is to work the other way (and to factor in what you can sell the property for). Figure out how much you want to make and then add your costs. That way, you build in profit into the deal. However, this way can be challenging if you don’t know how to accurately estimate your costs, so make sure you build a good relationship with a contractor who can help you. For example, if you want to make $15,000 on the property and you know that the property will cost $25,000 to repair then you might offer $30,000 to the seller but plan to sell it for $45,000. Using this strategy helps you think ahead to consider what you can get for the property and whether you’ll be able to make a profit. No discussion about how to formulate an offer for a house when buying cash in Kansas City would be complete without talking about seller financing. The first two strategies have highlighted a single sum that you would pay the seller but when you factor in seller financing into the mix, it changes everything: with seller financing, you might pay some cash and then have the seller carry the note for the remainder. This can adjust your profit point and how much you can pay for each deal. 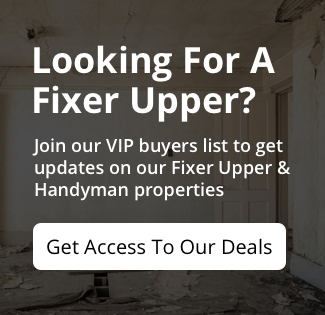 Alternatively, you can bypass all the work and effort of formulating offers and making deals with sellers and instead to buy a property from us. We sell attractively-priced investments and have done all the hard work for you! To see our inventory of available real estate investments, click here and enter your info or pick up the phone and call 913-735-0018.